I was talking with my friend and brilliant yoga teacher Christy Naida about food and dieting. We spoke laughingly about how many diets we had adhered to at one point or another, from veganism to paleo, from raw to Weston Price to Body Ecology to primal. There is no end to the variety of popular diets that one can follow, and it seems that each month a new diet becomes popular and takes over public consciousness. I think that in some ways, this kind of searching is positive; it reveals a drive to be healthy and to pursue well being. In another sense the endless chasing of an ephemeral target so ill-defined as health (seriously, ask yourself how you define health and then ask your friends and family. Like ‘home’ health means something different to everyone) shows us that we are hungering for direction, for someone of authority to tell us how to eat. This part is what saddens and concerns me. 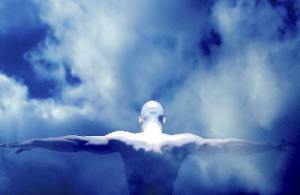 It means that we have lost faith in the innate ability of our bodies to discern what is best for us. We have lost connection to our body’s intuition. A year ago, I began a dramatic change in my diet. Suffering from chronic stress and anxiety, increasingly difficult periods and hormonal imbalances, I became seriously concerned with the track I was heading down. Not that I was eating poorly before, I ate a mostly low-fat diet with lots of veggies, whole grains, little dairy and all organic. And yet, clearly by body was struggling with what I was giving it. I started researching diets that were more heavy on protein, and came across the Weston A. Price Foundation (WAPF), which offered a radically new way of eating. Emphasizing fats (the horror! ), grass-fed animal protein, soaked grains and fermented vegetables, it was a completely different way of dieting. But I couldn’t quite follow it to the letter. I researched paleo, but found it too restrictive. Similarly with the GAPS diet, though I strongly advocate its use for patients who fit its profile. Eventually, I came to the realization that there might not be an external source that tells me what is best for me. I might need to take a deep breath and learn how to listen to my body’s needs and start to trust them. I find that personally I resonate with a Real Foods tradition, which is based on WAPF, but seems to be more flexible and less dogmatic. I’ve learned that for me, a certain amount of carbs in my meals are not the devil destined to cause weight gain, but actually give me a sense of satiety that is otherwise missing. I need more animal protein than most MDs would recommend, but not as much as WAPF purports. I feel best with lots of veggies, but have also come to peace with feeding my sweet tooth, something I hold a lot of judgement of myself on. I will make dessert once or twice a week, and that will feed me and my husband (whose sweet tooth is astronomically larger than my own) a dessert once per day. I am exploring alternative sweeteners like stevia and coconut sugar, both of which are far better options than white or brown sugar or agave syrup. When my patients ask me what they should be eating, my first question for them is “what do you think you should be eating?” There are a few universals that I believe all of us can benefit from, but the fine tuning of what goes on our plates every day is something that I encourage everyone to find their unique perspective on. Just as there is no one herbal formula that benefits every person, I believe that there is no one diet that is the ‘right’ one. We have to develop a finer sense of craving; not the craving that tells us we need. KFC. now. But the deeper, more subtle and hidden longing of our body for real nourishment. This is the craving we need to feed. Since beginning this experiment, I have been frequently surprised at what my body really craves and what my mouth craves. I’ll often find myself picking up a container of salmon roe or a package of chicken livers, because when I look at them, I feel a deep, primal hunger. Kale, cabbage and sweet potatoes are frequent cravings for me. The fact that we have lost our food intuition is not surprising to me considering the number of food experts shouting at us to ‘eat this, not that’ and the food companies that revel in false advertising. How can we trust our bodies when we can’t trust our food sources? Our food system has become a slave to marketing and what people want are things that are easy, cheap, and feed the mouth craving for sweet, salty and fatty. To have all of those, corners are cut, quality is lessened, and health suffers for it. Our bodies are built on a daily, monthly and yearly basis of cellular destruction and renewal; what we feed ourselves is in fact what we are made of. There are a lot of resources out there, and there is a lot of conflicting information. What happens when one diet says ‘salt will kill you’ and another says ‘your body needs salt’; one says ‘low fat will prevent heart disease’ and another says ‘low fat is causing heart disease’? Do the research, read studies, educate yourself as much as possible, and then… trust yourself. 1) Learn to really read lables. This means learing what is actually in ‘natural flavors’ and autolyzed yeast extract, soy isoflavones, etc. Most of these are byproducts of food, and have very little real food value, and some are potentially toxic to the nervous system and hormonal system. Be discerning about what you put into your body. 2) Avoid processed foods. This basically means cooking everything from scratch. No organic crackers, no tv dinners, no canned soups. The reason for this is that processed foods often have sneaky ingrediants that are detrimental to our health. The only way you can guarentee that your food is what it says it is, is to make it yourself. 3) If there isn’t a long history of its use in cuisine, think twice. This includes most refined vegetable oils (which are highly processed and potentially damaging to the cardiovascular system), most sugars, refined flour and flour products, and non-fermented soy. 4) Eat foods that deeply nourish you. Only you can know what these are, and they may look different from everyone else’s. But they are probably not cream puffs or fast food. Nourish your body without deprivation, and nourish your soul. A piece of chocolate once in a while or a glass of wine over dinner may add so much more to the health of your spirit than the health benefits of denying yourself for the sake of austerity. This is an interesting article talking about how acupuncture has measurable physical effects on our perception of pain. Many critics of acupuncture say that there is no scientific proof that acupuncture works and that its effects are all part of the placebo effect. However, a functional MRI (known as an fMRI) reveals that under acupuncture, the brain changes the way it responds to pain and lessens the overall sensation of it. It seems that everywhere I go right now, I hear people talking about being sick, recovering from being sick, or trying to avoid getting sick. There are many things you can do at home to treat a cold or flu, and we’ll go over some of them later, but first I want to talk about the best possible treatment, and that is prevention. When everyone around you is sick, don’t wait until you get the sniffles or a scratchy throat, treat the cold before you get it. The best way to do this is to keep your digestion in prime condition. It is thought that up to 70% of the body’s immune system is in the gastro-intestinal tract. That’s right. The majority of your immune power lives in your gut. In Chinese medicine, healthy digestive Qi supports the defensive Qi, and a common treatment for the first stages of a cold is to warm the digestive system to induce a sweat. Keeping your digestive system healthy and warm (in most traditional healing cultures, the digestion needs warmth to function properly) is the first line of defense against any external invaders. What can you do right now to keep yourself healthy? 1) Get lots of rest and drink plenty of water. When your body is fighting something, you use up more energy and need more sleep to recouperate. Winter is a restful time, and naturally compels us to hibernate, which is what most of nature is doing during this time of year. Now is not the time to party hardy or burn the candle at both ends. Replenish your reserves by getting a minimum of 8 hours of sleep each night. Drinking water throughout the day (not juice or coffee or soda either, just plain water) hydrates your cells and keeps them nice and resiliant. The body functions more smoothly when it is hydrated and is vital to healthy immune response. How much is enough? Most health professionals agree that 6-8 glasses a day is enough, though some purport that drinking half your weight in ounces is a better and more personalized system. For instance, someone who weighs 140lbs would drink 70 oz. of water per day, or 2 liters. 2) Take a probiotic. This helps keep your intestinal tract in optimal shape and ready to respond to pathogens. Taking an antibiotic is sometimes necessary and can be life saving, and it is important to remember that it not only kills the invading bacteria but also kills off the beneficial flora present in the intestines. The intestines are an amazing little ecosystem that do a tremendous amount of work. 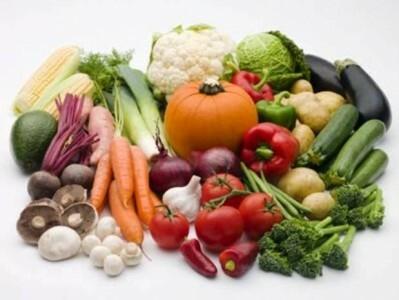 There is a delicate balance between the friendly bacteria which help to break down and assimilate food, produce vit. B12, fight fungal invaders, and assist in the body’s overall immune response. 3) Eat warm, cooked food. 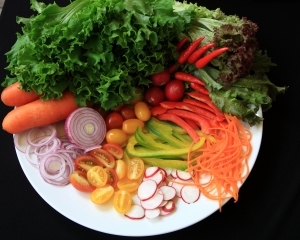 Some raw food is recommended, especially if it is fermented (more probiotic power), but in general, cooked food is easier to digest and assimilate. The Chinese system calls the digestive power the Spleen and Stomach, and the Spleen likes warmth and dryness. Soups are really the best at offering easy to digest nutrients, which is why they are given when we get sick. If you start eating more soups, especially soups made with homemade bone broth (which is the number one thing you can eat to improve all areas of health), your digestion will be so strong that you will shrug off any sneeze or cough aimed in your direction. 4) Take Jade Screen (yu ping feng san) before any symptoms show. This Chinese formula helps boost your protective Qi and keep you impervious to colds. However, it is important that if you do start showing symptoms of a cold or flu, you stop this formula immediately and start treating the infection. This formula essentially ‘locks’ the exterior of the body, where pathogens enter, but if one gets through it can “trap the robber inside”. Talk to your acupuncturist about this formula, as it is not appropriate for everyone, but can make a big difference for those who need it. 5) Eat lots of nutrient-dense foods. My favorites are kale, mushrooms, garlic, ginger, bone broth, and cod-liver oil. Yes, just like your Grandma used to use. Cod-liver oil is incredibly high in vitamins A and D, both of which contribute to a healthy immune system. Vitamin D is particularly important to the proper function of the immune system, and is shown to prevent auto-immune disorders and possibly even cancer. Kale is a nutritional powerhouse, full of Vit K, beta-carotene (the precursor to Vit A) and shares cancer-fighting compounds with its other brassica relatives. The energetics of kale is bitter and warm, and it helps to ease lung congestion. Mushrooms are powerful immune boosters, especially the shitake and maitake types. 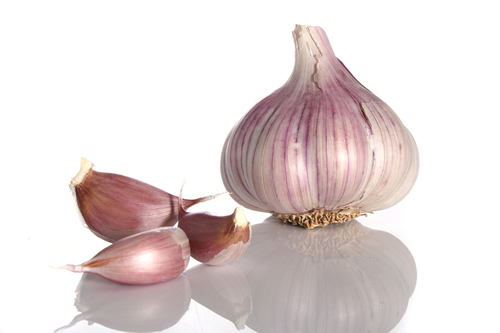 Garlic fights infections of all kinds, is anti-bacterial, anti-fungal, and supports the cardiovascular system. Ginger warms the digestive system and in high doses, induces sweating to relieve exterior invasions. 6) Cut out the sugar and reduce the dairy products. This is important for everyone, and I will go into the details of why at a later date. But for the purposes of colds and flus, sugar feeds bacteria. Sure, both colds and flus are viral, but they very easily cause secondary infections like sinusitis, bronchitis, or ear infections. Which I’m sure all of us would like to avoid. By reducing sugar, and this includes reducing fruit intake as well (even oranges and orange juice, which are more sugar than they are vit. C), you are denying the bacteria a good supply line that lets them multiply and take over. In Chinese medicine speak sugar, fruit, and dairy are all Damp forming and cause the body to produce more mucous. Doing these simple things at home can keep you well during cold and flu season, and should you happen to fall sick, can help improve your recovery time. Next time we’ll talk about what to do if you’re already sick and want to recover quickly. Here’s a recipe for my favorite soup for keeping healthy. It is a simple chicken soup made with kale and mushrooms and flavored with ginger and garlic. I’ll be going into why these ingredients are so special on an upcoming post. 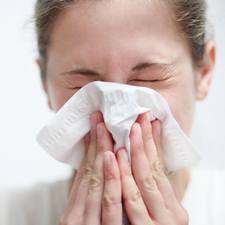 Stay tuned for my top 6 tricks for staying healthy during cold and flu season. In a large pot, heat the oil on medium. Add onion, carrots and celery and cook until softened and onions are translucent. Add garlic, ginger and mushrooms and cook until mushrooms are softened, being careful to stir frequently so as not to burn the aromatics. Pour the broth in and add the chicken legs. Cook for about 40 minutes, or until chicken is well-cooked all the way through. Remove chicken to a plate and let cool slightly. While chicken is cooling, add the kale and let it cook for 5-7 minutes, or until tender but not brown. Remove bones and skin from chicken and shred or chop meat and add back into soup. Season to your taste and add a teensy pinch of cayenne pepper to your bowl if you wish. 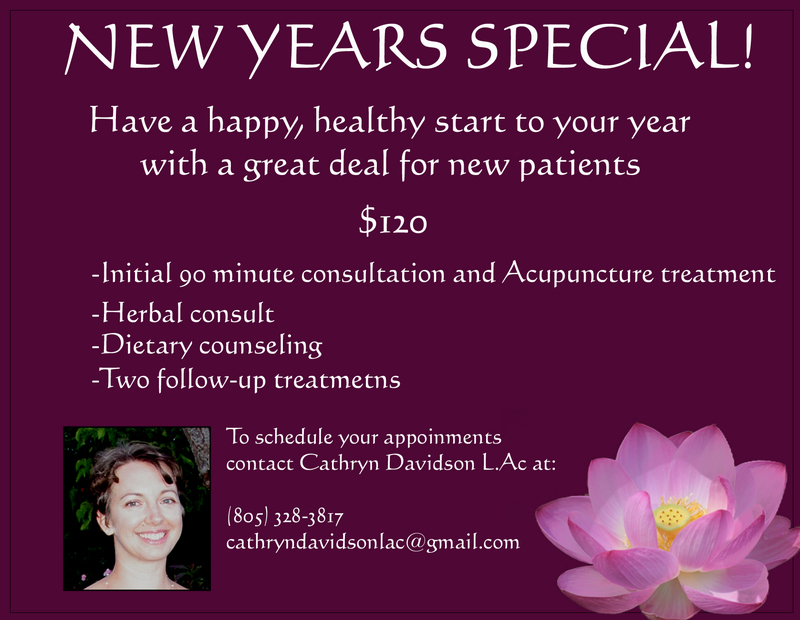 Welcome to Davidson Acupuncture, a new integrative medicine clinic in Santa Barbara! To celebrate the New Year, we are offering a special deal! We are a husband and wife team living and practicing in Santa Barbara, California. Bill teaches Kung Fu and Qi Gong for health. Contact us for a schedule of upcoming classes. It is our goal to keep this blog updated frequently, to answer questions when they arise, and to keep you informed and educated about how to maximize your health potential. On this blog you’ll see articles and links to studies about acupuncture and Chinese medicine, and also some tips on seasonal living, recipes, and nutritional insights. If there is a topic that you would like to see us address, please let us know and we’ll do our best to answer your questions.